Top half of lure is blue/grey with black glitter. Bottom half is pearly green. 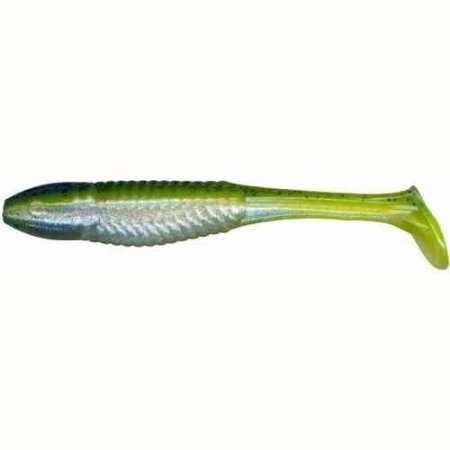 Soft Plastic Lure that imiates nature as it swims with a vibra tail/boot tail. The lure can be cast or trolled. Great for BASS, STRIPE, WALLEYE and other fish species. Can be used for many salt water species too. There are 8 per pack.